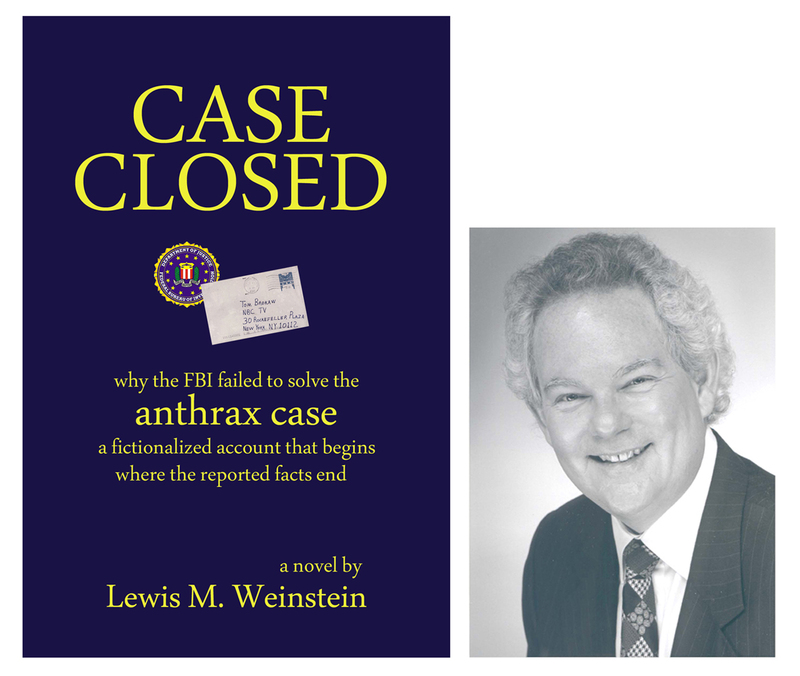 2010 August « CASE CLOSED … what really happened in the 2001 anthrax attacks? * what is going on with the NAS study of the FBI’s anthrax science? 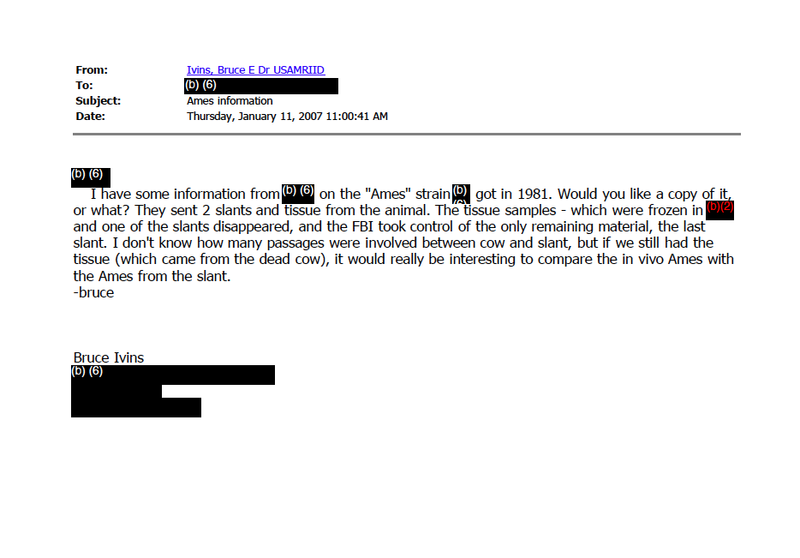 What is the status of the NAS review of the FBI’s anthrax science? Are any more meetings scheduled? Have any preliminary reports been issued? When will the final report be issued? The last meeting was June 2, 2010, after which no announcement was made. Read this pathetic interchange from the spring of 2007, when Bruce Ivins was trying to reconstruct events from 2001 prior to testifying before a grand jury. Shortly after this, Ivins was cut off from all communication with his former colleagues. Fifteen months later he committed suicide. Eight days after that, although he had never been indicted, the FBI claimed that he was the sole perpetrator of the 2001 anthrax attacks. 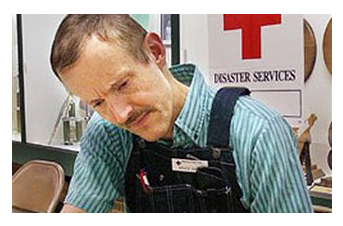 It is now over two years since Dr. Bruce Ivins’ alleged suicide and the FBI’s subsequent claim that Ivins was the sole perpetrator of the 2001 anthrax attacks when there is no credible evidence he was even involved. The evidence so far produced by the FBI/DOJ is far from conclusive and would never stand up in court against a living defendant. USAMRIID continues to dribble out emails on a schedule one can only believe has been purposely slowed. The NAS study has not been released, nor has any of the testimony received by them been made public. Congressman Holt’s proposed Anthrax Commission has gone nowhere. We have hard records for the decons for 1) each suite and 2) airlocks. I will see if can pull these together for you. Regarding cold room and freezer alarms, these are not kept this far back. What are you looking for exactly? Bruce, I have to apologize that I forgot. Do you still need this info? Let me know. * a few extracts from recent comments on the CASE CLOSED blog continue to demonstrate the pathetic weakness of the government’s case against Dr. Bruce Ivins. Will the truth ever be known? When US Attorney Jeffrey Taylor argued that key evidence of Dr. Ivins’ guilt was that he never repeated from 2002 onward the same pattern of long hours alone in the BL-3 as demonstrated during the Fall, did Attorney Taylor know that a 2 -person rule implemented in 2002 precluded that? (The late hours actually included Nov.- Dec which sunk his argument even apart from the two-person rule). His key premise (and Ed Lake’s chart) was based on an entirely flawed premise. Dr. Ivins, who lived nearby, continued to work late, odd hours relating to such things as use of his computer — as Dr. Andrews and others have explained. 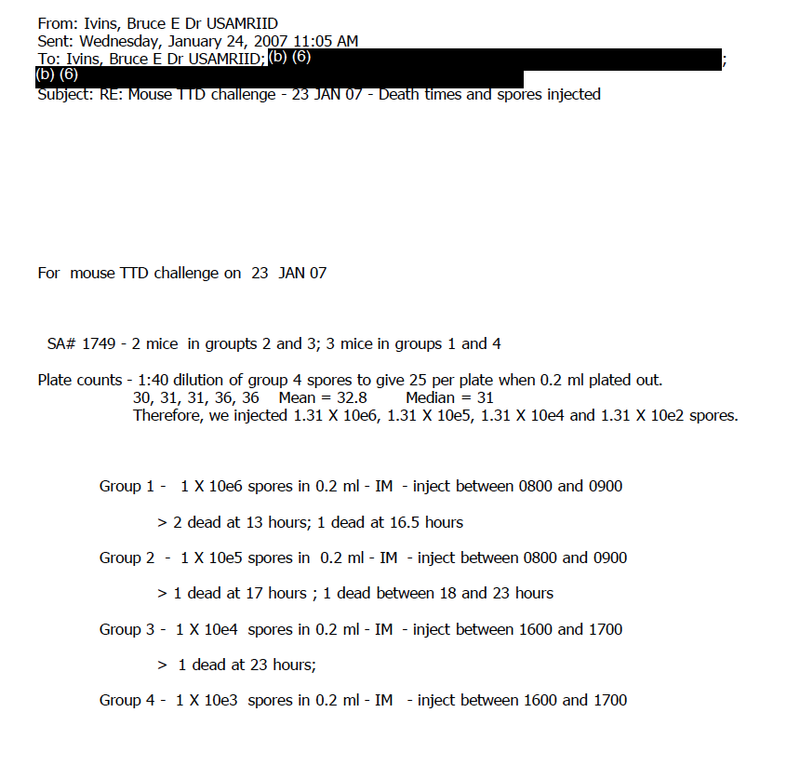 Notice that batches #74 and #75 — like the #73 batches of emails — provide no evidence that Dr. Ivins is the processor or mailer of the anthrax letters as claimed by Jeff Taylor. Given that US Attorney Taylor evidenced that he mistakenly thought that only 100 had access — and overlooked that another two or three times that number are known to have access — and given that Jeff evidenced that he thought that the envelope used was uniquely sold in Dr. Ivins’ Frederick post office (rather than throughout Virginia and Maryland), would you be surprised to know that Jeff didn’t read any of these emails? And one more point to be made: we should try to judge the evidence as though it were to be presented in a criminal trial (the trial that Ivins’ death precludes). This particular skein of evidence (the ‘code’) would have been ripped to pieces by defense expert witnesses in cryptography and cryptoanalysis. Because it’s bogus and fraudulent. There is no evidence that Dr. Ivins had any special interest in codes (any more than most anyone who likes humor, riddles, puzzles etc.). But the reality is that it takes 2 years to produce a simple stack of emails written by the person the FBI concluded was responsible for the anthrax mailings. It’s failure to be able to efficiently process FOIA requests has demonstrated that the government has proven itself too inefficient to keep the country safe. 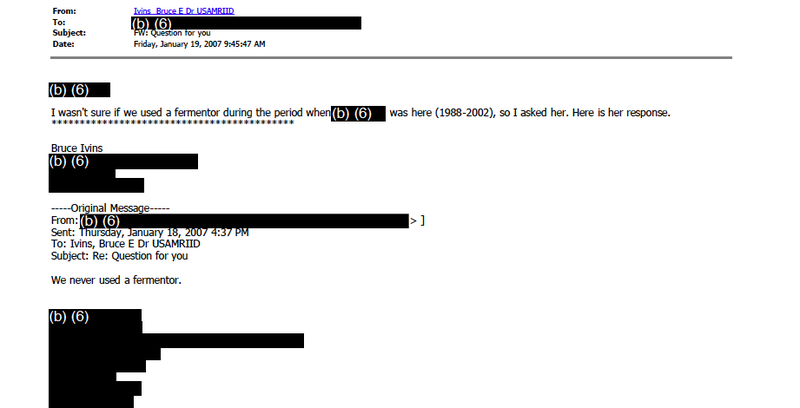 Is it awkward to get to the emails after November 2007 when the enforced social isolation by someone superior to him in the organization led to his suicide? 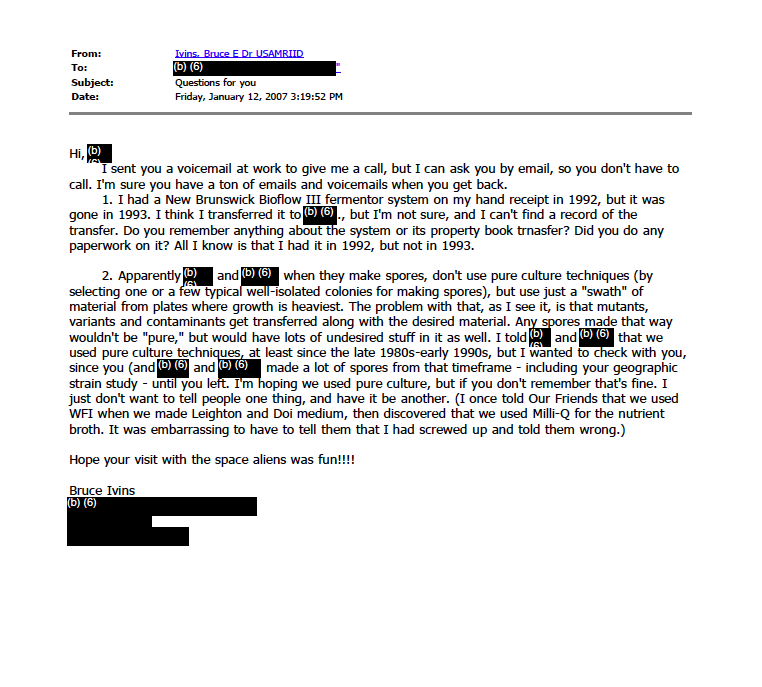 (see November 2007 email ordering everyone to not to communicate with him by any means). Sure. But all fair-minded people should be in favor of both efficiency and transparency in the matter, regardless of their view on the whodunnit. 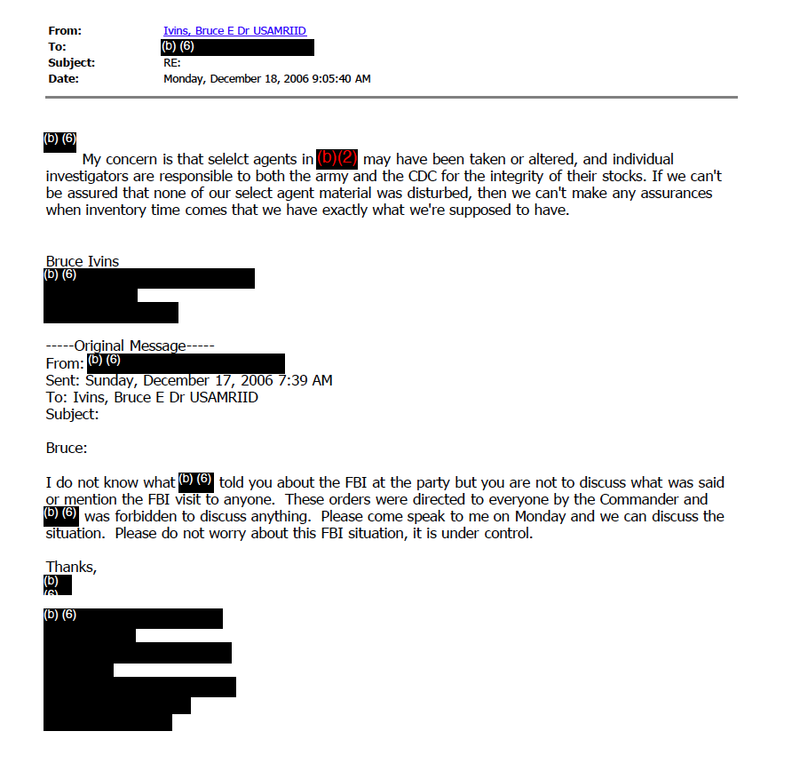 Agent Lambert was right that compartmentalization would prevent the Task Force investigators from connecting the dots. The one squad was limited to reading Dr. Ivins emails and hyperventilating that he uses different screen names on the internet to cloak his identity. And, gasp, they found he edited Wikipedia and used a computer at the public library! In the new batches of emails (#72 and #73) are emails with a superior discussing his concern that select agents may have been taken or altered and the superiors response that he should not talk about it; emails about how they did not use a fermenter to grow anthrax; and emails that peg the death of animals to the hour (that support the notion that visits inspecting the health of animals needed to be made on nights and weekends). There are no emails that support the contrived theory that Dr. Ivins processed or mailed the anthrax letters in the Fall of 2001. There can be no question that the FBI/DOJ strategy to avoid the truth has been successful so far. The pathetic claim to a credible case against Ivins is all they have said. If that’s all they know it is a travesty. If they know more, but are concealing it for some unstated reason, that is even more frightening.